Business is booming in Asia’s Lower Mekong region, and young people with strong technical, work readiness, and industrial skills are in high demand. However, local labor assessments have shown that university graduates lack critical industry, communication, and workplace skills, hampering their ability to support the region’s rapidly expanding economies. As the implementor of the USAID–Lower Mekong Initiative Connecting the Mekong through Education and Training (USAID–LMI COMET) project, EDC developed the MekongSkills2Work Network model to bridge the education to employment gap by working with youth, universities, vocational institutions, and industry partners in STEM fields in Cambodia, Laos, Myanmar, Thailand, and Vietnam to equip youth and instructors with market-driven skills; connect education, business, and government; and incubate technology-based learning innovations. This factsheet describes the work of the USAID-Lower Mekong Initiative Conecting the Mekong through Education and Training (USAID-LMI COMET) project to narrow the devleopment gap in Southeast Asia throught the MekongSkills2WorkNetwork. 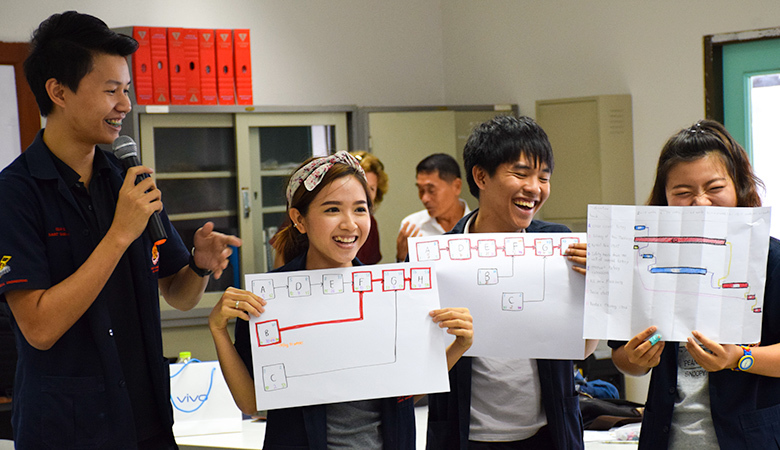 The network connects youth, universities, vocational institutions, and industry partners in Cambodia, Laos, Myanmar, Thailand and Vietnam to revamp STEM education to match with market needs. The MekongSkills2Work website is an interactive network of job seekers, employers, universities, and training institutions in Cambodia, Laos, Myanmar, Thailand, and Vietnam. The website offers resources, including toolkits, handouts, and tools, to improve the match between job skills training and employer needs in order to create a stronger workforce.